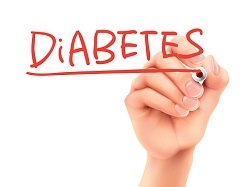 Insulin degludec (Tresiba) U200 is linked with “significantly” lower rates of confirmed hypoglycaemia in patients with type 2 diabetes compared to insulin glargine U100, new data presented at the 51st annual meeting of the European Association for the Study of Diabetes has revealed. The findings were based on a 32-week, open-label, crossover treat-to-target trial, which compared the safety, efficacy and patient-reported outcomes of insulin degludec U200 to insulin glargine U100 in patients who might benefit from a low-volume basal insulin. Insulin degludec U200’s delivery device was rated significantly better for function (estimated treatment difference [ETD]: 8.40, p<0.05) and less bother (ETD: 6.01, p<0.05) compared to that of insulin glargine U100. In addition, similar adverse event (246 vs. 260) and serious adverse event (9 vs. 12, p=ns) rates per 100 patient-years of exposure were observed in the insulin degludec U200 arm versus insulin glargine U100. Only one patient withdrew due to an adverse event (insulin glargine U100). Dr Mark Warren, lead study investigator, said: “These findings provide valuable insights to physicians treating patients with type 2 diabetes, many of whom require higher doses of insulin. Dr Simon Heller, Professor of Clinical Diabetes at Sheffield University, added: “These new data show that Tresiba U200 significantly lowers both rates of hypoglycaemia and mean fasting blood glucose compared to insulin glargine U100. Interestingly, data for patient-reported outcomes also tell us that the delivery device function, as well as the prospect of fewer injections, are factors that matter to patients.